An odd topic for a blog, to be sure. Our toilets just got installed. I don’t know if they flush yet. 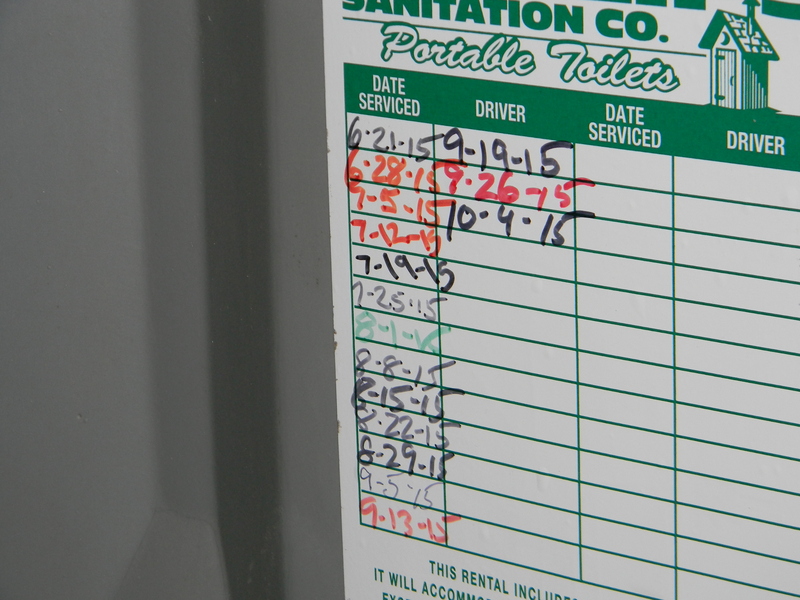 The electric isn’t connected, the well needs electric to pump water, and we need water to flush toilets. But just having them in place is hopeful. When we first started coming out to this property, I was thankful for the Turkey Hill convenience store less than two miles away. The “facilities” left a lot to be desired, but it was better than nothing – which is exactly what we had – nothing. Then construction started and a Port-a-Potty appeared in the front yard. They come pump it out weekly (thank goodness). 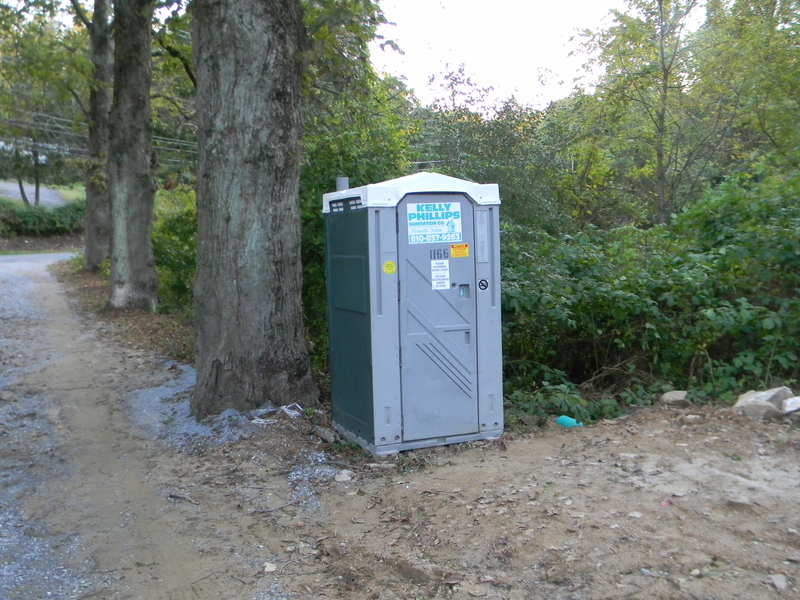 While I’m not fond of Port-a-Potties, it too is better than nothing, and more convenient that driving two miles for facilities that probably aren’t as clean as my green plastic “outhouse.” Even Arianna has become accustomed to using “Grandmom’s Outhouse” when she visits. Last weekend I went with Becky and Arianna to Linville Orchards for the Apple Festival. We had an enjoyable day at the petting zoo, picking a pumpkin and getting apple cider donuts. When it was time to leave, we asked Arianna if she needed a bathroom before heading home. There was a lengthy queue to get into the actual bathroom building, so we suggested one of the Port-a-Potties. I was surprised that she didn’t know what that was, given the presence of our very own front yard Port-a-Potty. And then Becky explained it to her… while we were standing shoulder to shoulder in a very long line of other pumpkin-pickers…“You know, it’s like the outhouse in Grandmom’s front yard,” she said. I decided to wait to get back to my very own Port-a-Potty rather than stand in line with people chuckling. And maybe by next week, we can flush. At least they keep it clean — every week since we started this project. Looks like 15 weeks and counting. Lovely. What else can you say. 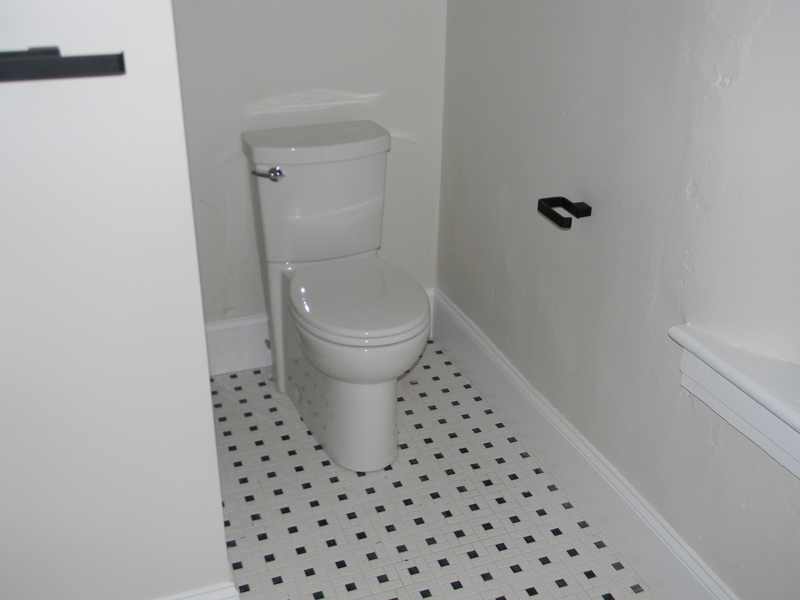 The guest bathroom. Much better than the Outhouse. The Master Bathroom. Much better than trekking to the front yard in the middle of the night! ← October — To Be or Not to Be? You might ant to leave the port-a-potty. It adds a certain inner city/construction look. And I am most pleased with the guest bath. Simple stated in an elegant way. Good job all around. At least the port-a-pot has a seat, unlike the ones we had to pay to use in Istanbul, right??? Looks like progress is being made!! 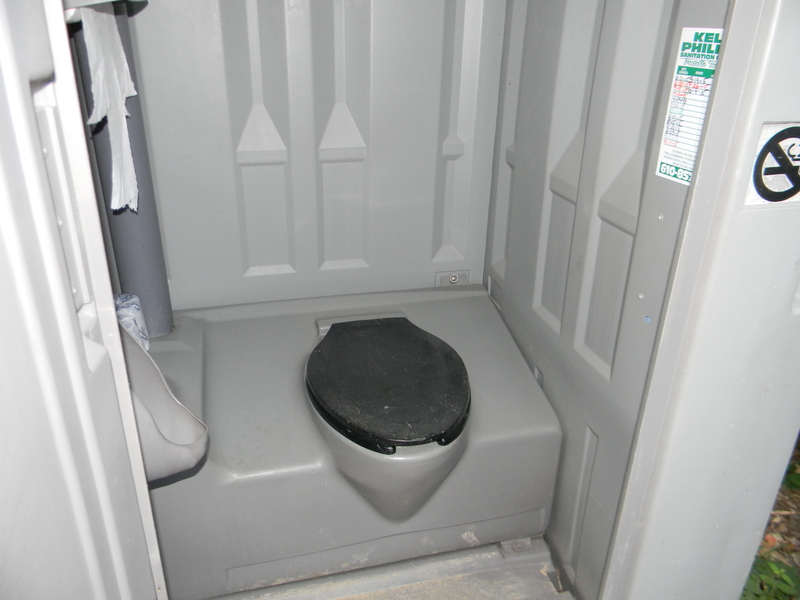 The port-a-potty is clean and convenient — what’s not to like?! 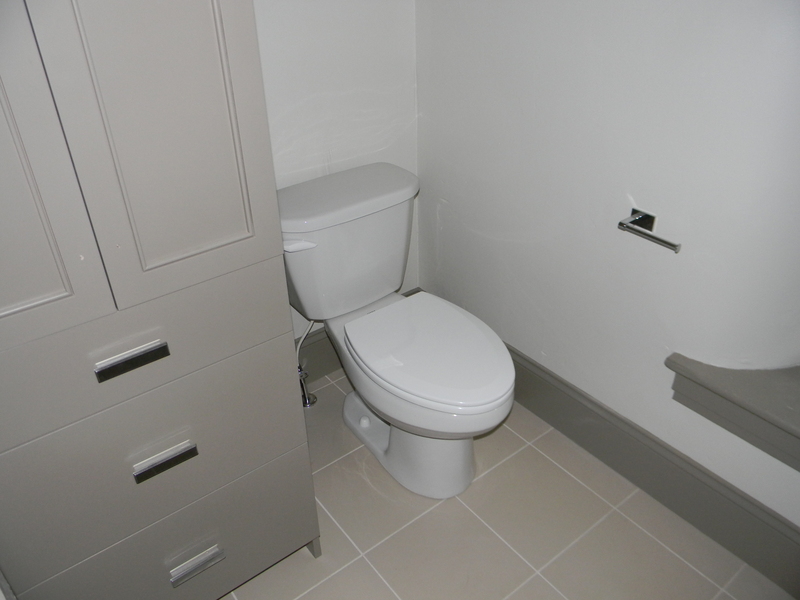 Oh, and the bathrooms look nice too. Bei uns in der Schweiz heissen diese hübschen Toiletten im Freien, Toi-Toi! Sie werden vorwiegend an Grossanlässen verwendet. Ihr habt also ein Grossanlass, Smiley! Aber sonst sieht alles gut aus und hoffe es kommt gut.